COMPUTERS: 2013 is turning into a great year for new products! We have a lot to talk about. Tons of new and innovative products are making their way into consumer's hands over the first six months of 2013 and the second half looks just as enticing! Computers, cameras, cellphones have all popped with new capabilities and we can also expect more of that as well as the big video-gaming innovations due around the holidays from Microsoft and Sony. 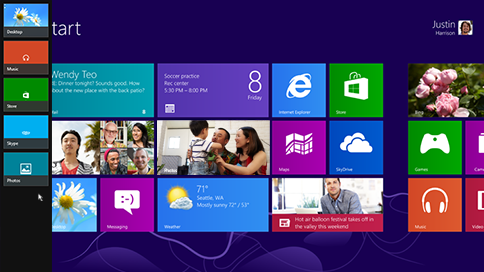 Okay, speaking of Microsoft...which did not set the world on fire with Windows 8. The new user interfaces complicated many peoples lives without providing enough of a value proposition to justify the pain. 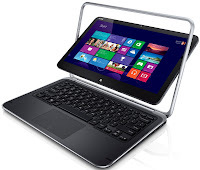 Windows 8 RT is Microsoft's tablet operating system which was paired with a Microsoft Surface tablet. With limited memory and a weak app library...this product went nowhere. There is also the Surface Pro which is a tablet-like format (though a bit thicker and heavier than you would expect if you have seen or used an Apple iPad or Google-based tablet) but it runs the full version of Windows 8. While this version was also plagued with limited memory problems and weight issues...it does show promise. And Microsoft has not given up! They have a new version of Windows 8 coming down the pipe codenamed Blue (real imaginatively named Windows 8.1) which I will not make jokes about what a poor choice of naming this is considering the famous Window's "blue screens of death" when a PC computer crashes. There is a marketing theory about embracing your negatives and turning them into positives BUT I just can't give Microsoft that much credit. Windows Blue is suppose to address issues around allowing consumers to directly access the old windowing systems, having multiple windows open at the same time (two browser windows at the same time!) and more personalization and even boot up right to the desktop! Because of all these misgivings and weak consumer sentiments around Windows 8, PC manufacturers have been suffering a fair bit. Not only are laptop sales are down 14%, they are being overtaken by tablets which will outsell them in 2013. While it is true that tablets are an underserved market and justifying the huge ramp-up in sales, I do not believe the laptop form-factor is dead. Far from it! Similarly to Windows Vista...Windows 8 is an immature operating system and consumers saw no value in flipping over or upgrading to the new OS. As a matter of fact, less that 5% of active PCs in the market have converted to this new OS. Many are staying with Windows 7 (44%) or Windows XP (38%) until there is a good enough reason to move. 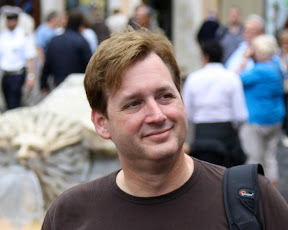 As a result, while the PC manufactures attempt to produce novel and interesting new form-factors including Lenovo Yoga, Dell XPS-12 and the like. Until Windows matures to a point with more polish and value-added features...this category will suffer. Many believe this suffering is due to tablet innovations and a bit of that is true, BUT this form factor also needs the right innovations in user-interface and usability features to make it more personable again. Then we will see this category stabilize. So for right now, while PC makers continue to innovate at the hardware level, I would wait for a better OS before jumping back into the Windows market with a new PC purchase. But if you are in need of a new laptop, I do like what Lenovo has been doing lately in the Ultrabook category including the sleek Yoga. But while all this has been going on, Apple is holding their own with a very solid computer product offering with their Macintosh line. Apple has seen their last two quarters experience either a slight 1% drop or this past quarter they were flat year over year. 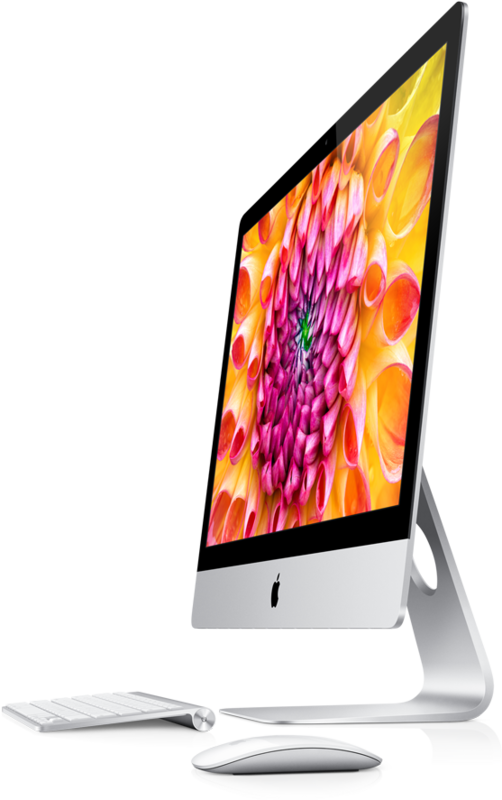 But this year's product offerings already look to provide some additional reasons to purchase new Mac hardware. The new iMac launched at the top of the year, was a nice, sleek update to their tradition all-in-one Macintosh desktop. We have also seen the introduction of new Macbook Air products that offer tablet-like battery lives (up to 12 hours), a new more powerful CPU and substantially enhanced graphics processing power as well as support for the new very fast 802.11ac wireless protocol. I did notice that Apple did not upgrade their Macbook Pro line with the new Haswell CPU...something they will surely do in the coming months. So if you are interested in the Air products, now is the time to buy but if you need more robust capabilities like support for a Retina (very high resolution display) or most likely the new Thunderbolt 2 (high speed peripheral interface)...I'd wait until the end of Summer or early Fall when we will also see the introduction of the latest Macintosh operating system called OS X Mavericks which introduces a slew of new features. 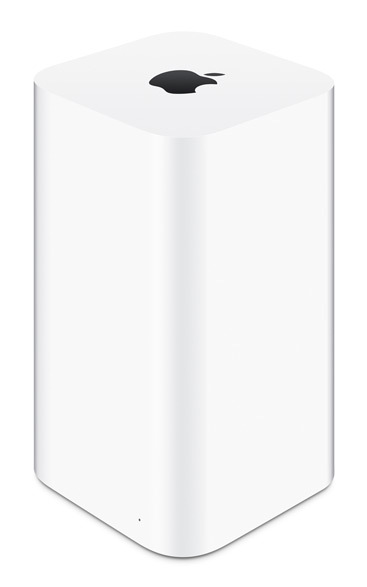 Apple also announced the Airport Extreme wireless router to support the new 3x faster wireless connectivity of the latest Macbook Airs. Expect all new Apple wireless devices to support this new standard. But that is not all! We also got a peek last week at Apple's replacement for their aging large, professional desktop system used by photographers, videographers, advertising and animation firms...the Mac Pro. This new version is a little "over designed" but is build on some very powerful components that should be a very worthwhile boost for the aging older version. Below is the hero video introducing the new look. 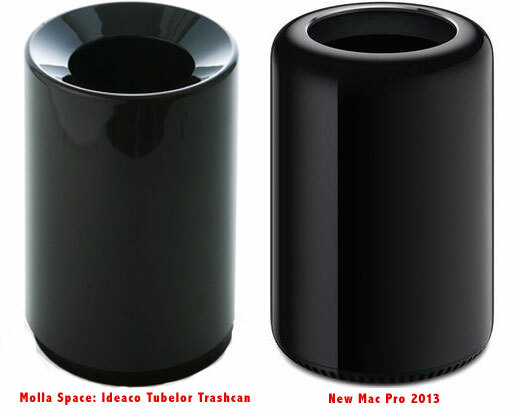 Okay...it looks like a sleek black R2D2 or a Molla Space: Ideaco Tubelor trashcan! But there is some rhyme to their reason. The goal was to create a powerful but quiet desktop computer which they accomplished by having a central thermal cooling core down the middle via a slow moving, large fan that pushing air through the device. In the old Mac Pro's the devices had tons of expansion capabilities within the case, whereas this new device is expanded via new high-speed Thunderport 2 ports on the back. But if all the expansion is via the ports, I really don't understand the purpose of a quiet desktop device design need? This thing is going to look like an octopus with tons of cables shooting out...so we have a pretty, quiet box that looks good until you start to use it. But the most interesting thing is that this device supports three 4K displays out the box! And this 4K support will start to bring that Retina level of resolutions to the desktop computer...something I am looking forward to. Enough about computers and Apple...I'll cover what's new and exciting in video-gaming technology in the next piece.